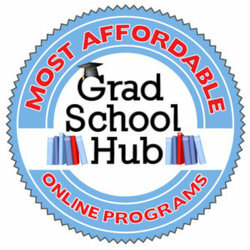 Stephen F. Austin State University's online master's degree program in early childhood education has been ranked the third most affordable online program in the nation by Grad School Hub, a website dedicated to helping students find the best graduate degrees nationwide. NACOGDOCHES, Texas - Stephen F. Austin State University's online master's degree program in early childhood education has been ranked the third most affordable online program in the nation by Grad School Hub, a website dedicated to helping students find the best graduate degrees nationwide. Site editors used the National Center for Education Statistics to research the best graduate programs in the U.S. Tuition rates, gainful employment disclosures and outcome measures were analyzed in determining the ranking. SFA's Master of Education in early childhood education requires 36 credit hours to complete and is designed to meet the specific needs of individuals who work with children from birth through age 8. The program develops specialized competency in organizing programs for young children and families through in-depth study and research related to child growth and development, theoretical underpinnings of classroom practice, development of learning strategies and sociological and psychological factors influencing behavior in young children. Courses are offered completely online through SFA's online learning management system, Desire2Learn, and are taught in half-semester formats. Students may determine the pace at which they progress, but generally, it takes two years to complete the program. For more information, visit sfasu.edu/elementaryed/103.asp.